 INTRODUCTION OF SPEAKER ............................................... A.R. 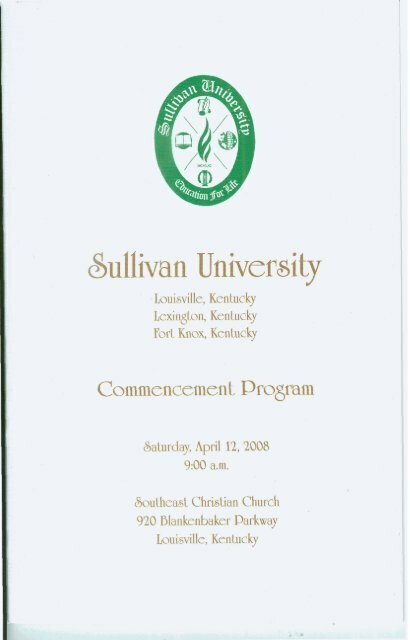 Sullivan COMMENCEMENT SPEAKER ................................................. John Yarmuth AWARDING OF CERTIFICATES, DIPLOMAS, DEGREES AND PRESIDENT'S CUP ...................................................................... A.R. Sullivan Glenn Sullivan Jim Watkins James Klein Kim Mitchell HOODING OF MASTERS GRADUATES ..................................... Eric Harter Graduate Faculty CONFERING OF CERTIFICATES, DIPLOMAS AND DEGREES ....................................................... A.R. Sullivan "BENEDICTION ........................................................... Renee Rust-Yarmuth ***RECESSIONAL Joyful, Joyful We Adore Thee .............................................. Beethoven * Congregation standing ** Late Guests may be seated at this time *** Congregation is to remain standing but at their seats until the recessional is over Congratulatory Applause You are requested to refrain from loud expressions of pleasure for an individual graduate. Such expressions frequently detract from the recognition due the next graduate in line. Your cooperation is respectfully requested. Children Parents with small children are asked to help preserve the dignity of the cer- emony by removing them if they become umly. JOHN YARMUTH Member of Congress U.S. House of Representatives U.S. Representative John Yarmuth represents Kentucky's 3rd Congressional District in the U.S. House of Representatives. Passionate about honest and open government, as well as issues involving working families and students, Congressman Yarmuth sought and received appointments to the Committee on Education and Labor (Subcommittee on Higher Education, Lifelong Learning, and Competitiveness and Subcommittee on Healthy Families and Communities) as well as the Committee on Oversight and Government Reform (Subcommittee on National Security and Foreign Affairs and Subcommittee on Information, Policy Census, and National Archives). He serves as a member of the Freshman Democratic class, an At Large Whip for the majority party, and he was named 2007 Legislator of the Year by the Kentucky Reading Association and "Outstanding New Member of Congress" by the Committee for Education Funding, the largest non-partisan education organization in the nation. Though best known for his work in the media, Yarmuth's diverse career, prior to entering the political arena, gave him a solid background in policy, business, higher education, and healthcare.